Excellent work. Completed very quickly after request. Very responsive. 11-24-17 Review by Sam S.
Honest and trustworthy! Incredible customer service and a great company to do business with. The installers are wonderful and professional. I will always recommend to my neighbors, family amd friends. Great job making my basement dry. Larry visited our home and provided a free estimate for waterproofing work. I found Larry very personable and professional. I highly recommend Watchman Waterproofing. They did work at my residence last month and the work was well above my expectations. Tim followed up almost every day with us so we knew what was done and what was left to do. I’m very happy with the quality of work. Friendly owner and staff. They want to ensure your happy with their service. Added a new battery and pump in one day. I would highly recommend Watchman Waterproofing. I was left with an unfinished installation by another contractor, called Watchman Waterproofing. They responded right away,Larry came to look at the basement and work that needed to be completed. He was able to arrange the completion within 2 days. Brian came and installed a new sump basin, new pump, & battery they were able to use the existing back up pump. The job was competed in half a day. Larry & Brian also answered all my questions and gave me helpful information for the future. They assured me I could call at any time and they would be there for me. Cannot say enough good things about this company & the staff. They were there to help me from a very stressful situation and went above and beyond to fix the problems I was left with. I highly recommend Watchman Waterproofing. Absolute impeccability and integrity in every single aspect of the entire interaction. What an incredible company to work with. Do yourself a favor, just call them. Dave Kingsley is an amazingly sincere young man, so dedicated to his company’s success that he does everything he possibly can to make you happy as his customer, because he knows his word is his reputation as much as his work. Very fairly priced, arrived exactly when he said he would, exceptionally neat work…and left my (now completely dry) basement absolutely spotless. I would leave 6 stars if I could! 🙂 update: after all the rain we’ve had this fall, what a pleasure at how dry my basement really is! Thank you for all. It was truly a pleasure doing business with Watchman Waterproofing. I was in the process of purchasing an older home (1900s) with Fieldstone foundation and water in the basement was my main concern. I spoke with two different basement waterproofing companies and felt extremely comfortable with the price and service Watchman Waterproofing provided. It appeared that I needed a full perimeter system along with two pumps so this was not a cheap job. Dave (part owner) was extremely responsive when reaching out to him (even when he was on vacation). He had no problem accommodating my schedule even before we owned the house which took coordination between sellers/agents/myself/Watchman Waterproofing. Not only was the communication fantastic but the crew did a phenomenal job being courteous to my house and family and the work beat all expectations. There were no hidden costs or concerns. They were true professionals and should be a considerable option when waterproofing your basement. The system has not been truly tested yet but it’s been in for about a week with some rain and the basement remained dry. Easy to work with and professional. They came when they said they would and worked until they finished. Now I’m waiting to see what happens when we get a big storm. I’m feeling pretty good about it. Just moved into my house a few months ago and prior owner had a make-shift sump pump system he set up himself. Unfortunately, my basement flooded the 1st weekend we moved in. I reached out to Watchman Waterproofing and had Dave come for an initial visit and assessment. Dave provided an honest estimate the same week for my project and assured me they would take care of my issue and would be able to do the job within a couple weeks. The work crew-Brian/Mike were also prompt, friendly, relatable, willing to answer questions before/during the job plus they cleaned up after. They also walked me through the new installed system. I will recommend Watchman Waterproofing to anyone looking to waterproof their basement! The owner of the company came for initial visit. Prompt, cordial, informative and relatable. Able to do the job within 2 weeks. The workman were also prompt, friendly, willing to answer questions during the job, cleaned up after, very efficient, put a drain and 2 pumps with outside exit in one day. Waiting for rain now….. I hired Tim from Watchman Waterproofing to install a pump in our basement to prevent ground water leakage during heavy rain. He was extremely responsive and was able to come give a quote within a day. He was clear about what needed to be done and installed the pump quickly and efficiently. Still waiting for it to rain to see if it solved our problem complete but overall a very professional experience! The job looks great; friendly & courteous crew; did everything just the way they said they would & within the specified time frame. I can’t believe that I’d like some heavy rain just to see my cellar stay dry. Thanks again to all involved. Very professional and friendly company. Larry Trainer arrived when promised to view my basement/garage waterproofing project. He provided a clear & reasonable proposal. Workers showed up as scheduled and did an excellent job , on schedule, and left the job all cleaned up. You won’t go wrong if you also choose WW. Watchman came and fixed my issues and made great suggestions. good company, good service team. Very good communication and attitude, great quality of work. I love it when people come and do the job just as agreed. And that is what Watchman did. So far it looks like things are working well. They will look beyond what concerns you and suggest other things that would help. I loved that. 6-27-17 Review by James C.
They quoted a great price. They showed up on time and got the work done quickly. I would recommend them to anyone who wants to waterproof their basement. Responsive, very competent, completed the job in an hour. Good people to work with. Price competitive. Very friendly, excellent and fast service. Talk about service!! Not only did they take the time to come to my residence late at night on a week night that was convenient for me and my crazy work schedule, but the quality of work was absolutely top notch!! There were not cracks, no chips, no waste left behind and with the recent rain storm there was not a drop of water in my basement and now I can confidently finish my basement renovations with peace of mind knowing that the basement will no longer flood or leak!! On top of quality of work, the real thing that made them differentiate from the rest here was in the service. There was no pressure, no hard selling and Dave really took the time to explain to me what the process and logic was behind the system and each step. My house was also not an easy job, there were many obstacles which made it very challenging. Not to mention I totally delegated to someone else in my house hold to clear the perimeter of the basement, and that person dropped the ball, so Dave and his guys spent an extra 45 minutes doing extra work by moving things away from the walls which was totally above and beyond because that should have been done on my end. I wold absolutely recommend Dave and the Watchman Waterproofing team to anyone else for their basement needs, not only for great quality of work, but for a great experience and great service! Kudos guys, you did a Great Job! Very happy with the quality of work, and knowing that you can continue to expand on the system after the fact (if needed) adds peace of mind. Very professional, knowledgeable and reasonably priced. They fixed our wet basement in Somerville within 24 hours. I recommend them without reservation! Watchman is a great choice for basement waterproofing projects. I had them install a sump pump and the job was done very well. David was prompt to respond to my request for a quote and to schedule me. They were clean and efficient and did what they said they would do. 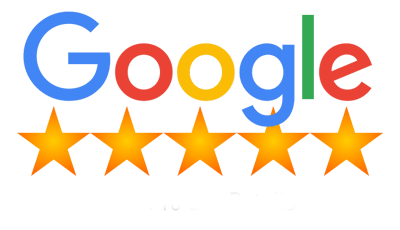 David was quick to arrive, very courteous and professional and fully explained the best options for repair and improvement. Great job. Will definitely use this service again. 4-16-2017 Review by Amy M.
Dave was able to come by my house within a few days of me calling him and gave me an honest assessment about my basement after I had water in it. Did not try to pressure me into buying any unnecessary product or service and was really knowledgeable. I would definitely recommend him to anyone who has any basement problems. After two days of heavy rain our sump pump gave up and left us with 5″ of water in our basement and only inches from reaching our brand new boiler. I called a national company and they were unable to help until the following afternoon. With a brand new boiler at risk there was no way I waiting. I searched the internet and stumbled upon Watchmen Waterproofing. Despite being 10pm I called hoping someone would at least call me first thing when they opened in the morning. To my surprise someone answered. Not only did they answer, they were knocking on my door 20 mins later with a brand new sump pump in hand. I could not thank Dave enough. This company truly cares about you not only as a client but also as a person. I highly recommended them. If I could give 10 stars I would. Thank you again! Dave and his team completed a sump install in our home. They were professional and did an excellent job. The sump pump on my French drains died last Thursday around 3AM. With a storm due on Friday, I called Watchman Waterproofing at 7AM and someone was at my house at 9AM with a new pump. Things couldn’t have been any smoother and I couldn’t have been happier! 3-29-2017 Review by Pete B.
Dave is the best. If you’re looking for someone to do your waterproofing, you’ve found the right spot. They’re truly 24/7 service with the best people, reliable, knowledgeable & get the job done right the first time. When the pump itself was dying, Dave replaced it free of charge within a day. The absolute best — watchman waterproofing should be your go-to. Dave at Watchman Waterproofing is the best! You don’t just get a great waterproof system with him, you also get outstanding service. We live at the bottom of a hill and depend on our sump pump to keep our basement dry and recently had an issue with the pump. Dave was able to return my call within minutes, give me advice on what to do, and stop by in less than 24 hours and fix the issue. He is easy to reach and very knowledgeable. I would definitely recommend him! Service was great. Everything was explained thoroughly. They did a great job. They showed up 10 minutes late and when I pointed this out to them they apologized for being late… they did an excellent job, with quality product. I am definitely going to use them again if I need to and will be recommending them to anyone who needs a new sub pump or a sub pump repaired. Great service. Fixed my sump pump quickly and efficiently. Would highly recommend! I highly recommend them. For the first time, the basement will be free of water when it rains. 3-04-2017 Review by Kate S.
Dave and the team were great, they went beyond. Superb work that produced excellent results at a more than reasonable cost. They were professional, polite, so hardworking, and finished in the agreed time. 3-04-2017 Review by Bob F.
Installed battery backup sump pump for us. Later he replaced our main sump that had broken down. Both job were done the day I called. Price was right could not deal with nicer people. Would recommend to my friends and family. Great service. Needed a repair done before selling my home. They came right away to access the situation and give an estimate and were very thorough. Also, scheduled the appointment right away and stayed till completed. Highly recommend them! Very friendly, flexible and professional service. We got a new sump pump for our basement with a battery backup in case we lose power. David was very prompt to drop by my house and give a quote for all the work involved. The installation was quick and on time. We are very happy with the results and they did a really good job! 2-28-2017 Review by Charlie S.
Reroute the drain from my sump pump to the town drainage system. Excellent job done in a timely fashion. 2-27-2017 Review by Janice G.
We had just moved into our house and the old sump pump stopped working. We called Watchman Waterproofing and they came out immediately. We were so pleased with the detailed explanation and speed of the new installation. We highly recommend Watchman Waterproofing. I have not had a lot of luck with contractors in the past. Most of the time I can’t get a call back, no one wants to do small jobs, or they have literally “taken the money” and took off. Watchman Waterproofing not only changed my feelings about trusting contractors, they went over and above to make sure I was satisfied and happy with the job. Brian, the job supervisor, and his crew were prompt, polite and friendly, but mostly very hardworking. Owners Dave and Tim made sure they were at my home before the job ended, or I handed over a cent, to make sure I was happy with the work, and to see if I had any questions. Their pricing was unbelievably reasonable. I WOULD HIGHLY RECOMMEND THESE GUYS TO MY FRIENDS, OR ANYONE IN NEEDED OF BASEMENT WATERPROOFING!!! Very satisfied with Watchman Waterproofing.Getting price quotes from other companies made me feel like I was being pressured. No pressure from Dave at Watchman, just honesty, and good service. They did not hesitate to come right back when installation of a sump pump did not stop all the leakage. Very reasonable price wise, and when they found out I was selling my house, they informed me they would stand behind their work for the new owner. Highly recommend Watchman Waterproofing. 2-26-2017 Review by Kris F.
Very satisfied with service provided by Watchman waterproofing. I had 2 other companies give me estimates, and I felt like I was dealing with a used car salesman. After sump pump installation, and minor leakage was still noticed, they did not hesitate to come right back out and correct problem. My house is now in the process of being sold, and Watchman is still working with me to make sure the new owners will be satisfied as I was with their service. Highly recommend Watchman Waterproofing. 2-26-2017 Review by Graham M.
Service was on time, on budget and addressed leakage with minimum disturbance. Great work overall by watchman team ! 2-26-2017 Review by Chris A. 2-24-2017 Review by Bob M.
Dave and his team are great. Very professional and customer service oriented. The team at Watchman did a great job fixing a water problem in my basement foundation. Fast efficient and professional. I highly recommend. 2-23-2017 Review by Paul C.
I had a new sump pump installed. Dave and Ryan did a great job! Every part of the job went well. They were very friendly and professional. They even did some work that was not in the original estimate. And the final price was $50.00 below the original estimate. I’m very happy with the results. Everything is working well. Everything went smoothly. Workers were friendly and efficient. The installation was done perfectly. I would highly recommend them to a friend or neighbor. 1-29-2017 Review by Jennifer in MA. We had a broken sump pump. They came out to my house quickly and had the pump replaced and re-piped within a couple of hours. Clean and courteous. Tim, Dave an Brian were great. The work was done professionally and in a timely fashion at a very reasonable price. We had our basement waterproofed with Watchman Waterproofing last year and couldn’t be happier with the results! We went from having an inch of water every time it rained to having a perfectly dry basement! Dave provided an estimate that was HALF the cost of other companies and he and his staff were courteous, professional, and on time. I highly recommend Watchman for any waterproofing needs! Had a great experience with Watchman Waterproofing this week! Our sump pump died, and we called them and they came the same day. Very professional, fast, and efficient.I would highly recommend them! Including photos once job was completed! An excellent company, dependable and quick to answer your needs. also fairly priced. I would recommend them to anyone. I was very satisfied with them and they are my go-to people for any drain and pump issues. They answered my call on a SUNDAY and would have come right over. They were efficient and pleasant and fair-priced. They’ll be my “go to” for sump pump issues for sure. I’m a retired Construction Manager, and I really know how contractors should work. These guys were on time, personable, and clean. They were quiet, the job was neat, and there were no issues at all. I don’t mind looking at it every day! They really did a great job. I was so pleased with Watchman Waterproofing. They were very professional and neat. I have had many quotes from contractors, and he was the best! They came when they said they were going to, they cleaned up after themselves. I would recommend him highly. He did not try to sell me something I did not need. The price was fair, and I feel like the work they did was exceptional. I hired them to put a drain system in my basement to alleviate the dampness, and then I hired them to put in a dehumidifier. Now my basement is not musty and the humidity is gone! I’m so pleased with the results, and now I have peace of mind. Dave was very responsive and his whole team was great to work with. I got a couple of quotes and he had the best price. If you put that all together, Watchman was the obvious choice! If you’re reading this you’re probably trying to figure out how to keep your basement dry. Do some research and talk to these guys. My experience is they’ll give you a fair price and they’ll do what they say they’re going to do. Great company! Very honest upfront and accommodating. Wont try to sell you anything you don’t need or more then you are asking for. They were able to do the work in one day and once they were gone you never would have know they were there except for the new pump and floors in the basement cleaner then they found them! The crew got a ton of work done in one day and left our basement cleaner than they found it. They installed two shiny new basins and sump pumps and buried some outlets underground. Very happy with the work. Now we just need some rain to try it all out! Excellent service, excellent job and excellent after care . Thank you for everything! Highly recommended ! The tech was late because the supplier wasn’t open early. He called to let me know and ask if that was going to be okay. Once he arrived the work was done in a timely fashion. He left the area neat and clean. Excellent job. Would recommend them because of the hard work they did in a timely matter. Very professional attitude and just nice people. Two men arrived on time, worked diligently, explained to me how to use the pump. Showed me their credentials and gave a printed copy. The paper quoted Thomas Watson, Sr. which proves they enjoy being successful and serving their customers. It was a pleasure doing business with this company I am completely satisfied !!! Thank you !! They were very helpful and informative. They did not try to sell me items or repairs I did not need. They were very conscience of my budget. They were honest and fair with pricing. They came on time and finished the same day. Everything was cleaned up well. I would recommend them to anyone needing basement waterproofing done. They did a great job, and very trustworthy! I would highly recommend them! I needed a new sump pump for my basement, had several estimates, I liked Dave from Watchman right away. He did a thorough inspection of the area and the old sump pump. He answered all my questions and explained to me just what should be done. His price was good and best of all he didn’t try selling me other options, I found him to be honest and up front! Day of installation Brian the work supervisor was right on time, went over with me again just what was going to be done. If I didn’t know I had a new pump and new outside line installed, I would not have known they were here! They were thorough and clean! After the install, Brian went over everything with me again, and reassured me that if I had any problems to call them and they would be here asap! I am a realtor, and I am always looking for good tradesman to refer, I would not hesitate in referring Dave from Watchman Waterproofing to any of my clients or family and friends. Dave was great! We bought a new place that had a water problem in the basement and just a basic contractor sump pump in a dirt hole that the developer left and we were worried about future water problems with one dinky sump pump that was running constantly (since we live at the bottom of 2 hills). We spoke with Dave about possible options and he recommended a zoller pump, alarm, and back up pump with marine battery. His quote was a much better price than another basement water company that had come out, and he doesn’t try to sell you on additional things you don’t need (which I really appreciated). They arrived on time, to the minute!… and got the job done quicker than I expected. We are very happy that the new pump and basket he installed protects the pump from sand getting in and make it last longer which will cost us less $$! Would def recommend to anyone with water problems in their basement. Thank you Watchman!! They installed a sump pump and were professional. They found a way to drain the water that caused no disturbance to our existing walls. In addition, they discovered a leaky pipe that was causing a major water issue in our bedroom. They took care of removing the damaged dry wall and explained the steps we needed to take to resolve the mess. They are excellent! Very high quality work and real value for the money which is rare to find these days. I feel that the quality of the work it was a wise investment and I know my house is protected when are away for several months during the winter. Had Watchman put in full perimeter drain. Dave answered all my questions and was helpful along the way. Brian and his crew were thorough and left the basement clean. Solid system! I would definitely recommend Watchman! I live in a high water table area. Recent construction in the area had rerouted the water flow filling my basement. I contacted Dave and had interior drains installed in my basement to control the water from flooding the basement floor that was coming up through the walls seems that meet the floor. Dave’s team are courteous and professional and work diligently to meet the time window that was committed to. I also had pvc pipe installed to dispose of the water away from the house. The guys were so neat that you couldn’t even notice where they dug up the lawn since they put everything methodically back the way they found it. Its been a month now since the drains were installed and I’m very pleased to say my basement is totally dry. Not a drop of water has entered the basement even with all of the rain last week. Dealing with a flooded finished basement is stressful. I found an ad in a local flyer for Watchman, and gave them a call. One of the owners arrived the next day and walked us through the process, answered all our questions. They worked around our schedule and sent an excellent crew. Brian the project lead was very professional and thorough. The whole process has given me peace of mind that my basement is now safe to re-finish. Great job!! Friendly service, great work at great price. Very friendly, no high pressure sales pitch, got the job done quickly and neatly. Didnt try to sell me something more than I needed like some other companies. My family is quite happy to be a customer of Watchman Waterproofing. They have not only met, but exceeded my expectations. The organization is very professional, responsive and punctual. I would highly recommend Brian and David to anyone who would like an honest service at a fair price. Professional, really know their trade, and personable. Our basement perimeter drain project ran into a few bumps; Dave was a great problem solver at every twist and turn. Quality work without upselling chatter. Highly recommend! Great job done on time, Bryan Botelho, the installer answered any questions I had and did a great job of cleaning up when the job was completed. I would recommend Watchman to anyone installing a basement sump pump. Excellent people, great communication and great work for a reasonable price. Brian and crew were fantastic, arrived when expected, completed the job in the time frame they stated and did excellent work. Basement is cleaner today than before they arrived. Very professional, courteous. I recommend Watchman Waterproofing. From my first inquiry, one of the owners, Tim, responded promptly even though there was no emergency. I received an initial recommendation, quote and a date to complete the work followed soon thereafter. On the scheduled day a worker and Dave, the other owner arrived; work was completed efficiently, effectively, courteously and at the contracted price. I also received documentation that I can pass along to the next owner should a problem arise from the work they did. It is refreshing to have such a positive experience. This level of work and customer service by Watchman Waterproofing should be the standard but unfortunately, it seems to be the exception. Should I need this type of service in the future, I would definitely use Watchman Waterproofing. I watched as Brian performed the entire installation himself. I have never seen someone so concerned that the job is done right. As he finished the concrete work, I felt that I was watching an artist and wished that my dentist was as meticulous as Brian was. Before he left, a complete test was performed and the work area cleaned. I am very happy with Watchman Waterproofing and would gladly welcome anyone to come to my house who would like to see their work. They exceeded my expectations and the finished work is highly professional. Easy to work with, easy to schedule, job done well. Honest quote. Prompt service. Courteous professionals. Job well done!